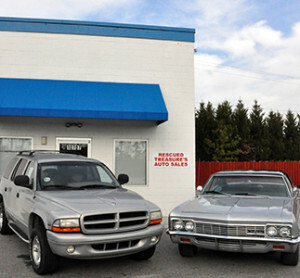 Durham Rescue Mission Auto Sales opened in 2006. 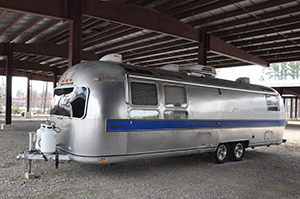 In October 2010, we expanded our operation to include boat and RV storage. Today, Durham Rescue Mission Auto Sales & Storage offers used vehicles for sale, as well as limited storage space for your car, boat or RV. We gladly accept used car donations of all types. Don’t Just Trade In Your Car — Donate It to the Durham Rescue Mission! If you’re ready to trade in your car or interested in selling it for cash, consider donating it to the Durham Rescue Mission instead. Not only will you receive a tax deduction for your donation to our homeless shelter and urban rescue mission in the Raleigh-Durham area — you’ll also receive the satisfaction that comes from knowing your vehicle donation is going to benefit the hungry and homeless men, women and children of the Triangle. Donating a car to the Durham Rescue Mission is simple and hassle-free. Contact the Mission today to learn more. Durham Rescue Mission Auto Sales & Storage offers storage sites in Raleigh, NC for RVs, boats, campers, utility trailers and other vehicles under covered shelters. All storage fees go to support the operations of the Durham Rescue Mission. Additional features include a fenced storage parking lot with a secure gate, accessible keypad entry, security cameras, and assigned parking spaces. The parking lot can be accessed 24/7 from Highway 70/Glenwood Avenue or T.W. Alexander Drive. Storage space is limited, so be sure to call to check availability. For more information about our storage facility in the Brier Creek area or used vehicle donation process, please contact us or stop by our office on Glenwood Avenue. We are conveniently located behind the Durham Rescue Mission Thrift Store in Raleigh.